… the Festival of Lights in Lyon will not be as festive as before. It will be a day of lights, and of solidarity and remembrance, as people fill the streets of Lyon – just as people filled the streets of Paris, its bars and restaurants, Bataclan, some short weeks ago – to light candles in honour of the victims of the Paris attacks and to support those who are left behind. 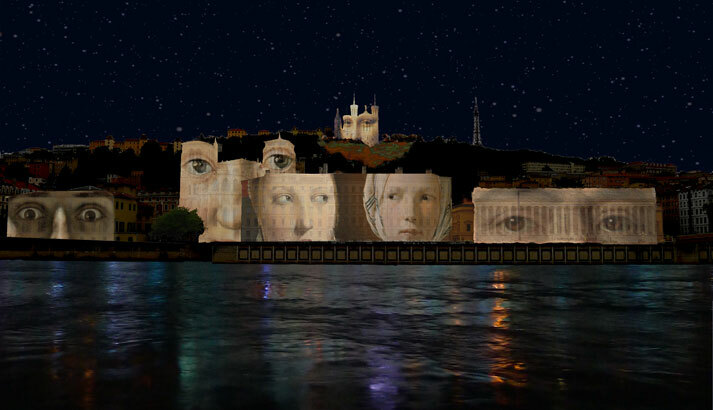 130 names will glow on the facades along the beautiful quais of Lyon, and eyes will be watching. … racism is adressed at the European Parliament in Brussels as the European Network Against Racism co-organises a Roundtable on combatting Afrophobia in the European Union on the occasion of the UN Decade for People of African Descent 2015-2024. Not just a year, but a decade. Sadly still not enough – how many years or decades will be enough? – but maybe, at the end of this decade, we will have taken steps towards less racism, intolerance and xenophobia, and more equality. … the extraordinary Holy Year of Mercy declared by Pope Francis, begins. With only 26 such years in 700 years, and only three of them extraordinary including this one, the message is clear and universal. Mercy. Compassion. Reconciliation. … 74 years have passed since the United States declared war upon Japan. One day earlier, Japan had bombed Pearl Harbor. Less than an hour before the declaration of war was passed, President Roosevelt gave one of the most famous political speeches of the 20th century, the Infamy speech, describing the previous day as “a date which will live in infamy”. That phrase still resonates. Dates have been added. … 35 years have passed since John Lennon was shot and killed. In his life he had 17 cats, he saw 1 UFO, he published 3 books and dreamed about writing for children. Breakfast was his favourite meal. He loved to play Monopoly. And he thought the best lyric he ever wrote as a Beatle was “All you need is love”. Watch this and see why he was right. There’s hope yet.